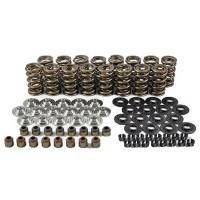 PAC Racing Springs is a Manufacturer of Springs and Components. Valve Springs, Spring Retainers, Spring Seats, Suspension Springs, and Sway Bars. Pac springs can be found in many cars that cross the finish line. Quality springs from high quality materials is why Butler LS provides PAC racing Springs to our customers.